The Indian Festival of Holi, also known as the Festival of Colors, is traditionally held in March and is a celebration of springtime. Festival-goers shower eachother with brightly colored powders until everyone looks like a rainbow with eyes! For more details about traditional Holi click here. Library Holi Festival - During March have the library hold its own Holi Festival. Reach out to local Indian community organizations and Hindu temples for ideas and contact information for musicians. If local Indian musicians are not avaialble you can always play a Bollywood CD. Make sure that every attendee gets at least a small amount of Holi powder and turn them loose! Holi Capture the Flag - Instead of t-shirts or bandanas make all teens wear a white t-shirt and throw Holi powder at them to "dye" shirts into team colors, red & blue. Them proceed with capture the flag as normal. Spice things up by giving a limited amount of players "holi hand grenades" (i.e. a pouch of yellow) that they can use during play. If a player is hit with yellow powder they are "dead". To really spice things up have the field set up like a paintball course and hide packets of color throughout the playing area. Yellow = hand grenade, Purple = invincibility, Green = medic (can bring the "dead" back to life. 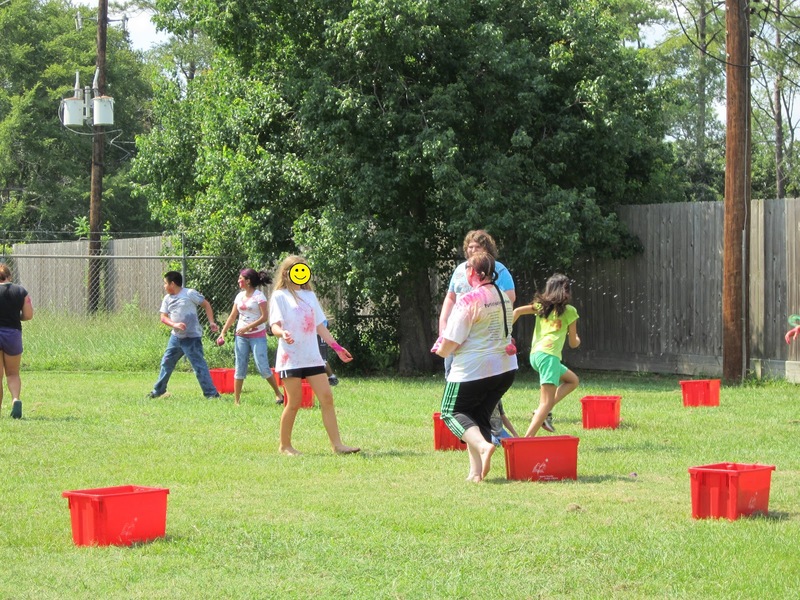 Holi Water War - Set up tubs of water, 10-20 depending on number of participants, water bomb/splash balls (so much easier than water balloons) and a packet of color for each participant. (The larger packets can be broken down to 2 or 3 smaller packets to make it go farther.) Before starting mix some packets of powder into the tubs of water to make the water brightly colored. This battle is a free-for-all where teens just run around getting wet and colorful, but they LOVE IT. Before handing out the packets of holi powder let the teens get wet - the color shows up & stains better on damp clothing/hair/skin. To really get this going try setting up a slip-n-slide. You can try online stores such as JyotiRaj Spices or your local Indian store. Wherever you get the powders from make sure they are natural with no heavy metals/chemical dyes that may irritate skin or present a health hazard. NOTE: These powders can be difficult to find out of season, so if you are planning to use them any time but March you will need to plan ahead and possibly stock up during Holi.